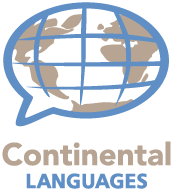 Continental Languages, LLC, has been providing on-site interpreting services for law firms, municipal courts, medical facilities, and businesses for over 30 years. We have built a solid reputation in the Chicagoland and Northwest Indiana regions based on the quality of our interpreters and impeccable customer service. When our interpreters walk into your office, you can expect nothing short of excellence. Whether it is a deposition taking place, a business meeting to discuss contract terms, a parent teacher meeting, or an independent medical evaluation, we can assign an interpreter specific to those needs based on their experience and credentials. Interpreter Qualifications–Our interpreters come to us from diverse backgrounds. Their skill sets encompass many different backgrounds, including their length of experience, honed skills, state & federal certifications, and association affiliations. Just ask–interpreter credentials are available.